OWNERS, TUNERS, PHOTOGRAPHERS or VENDORS - POST UR 6EAST!!!!!! 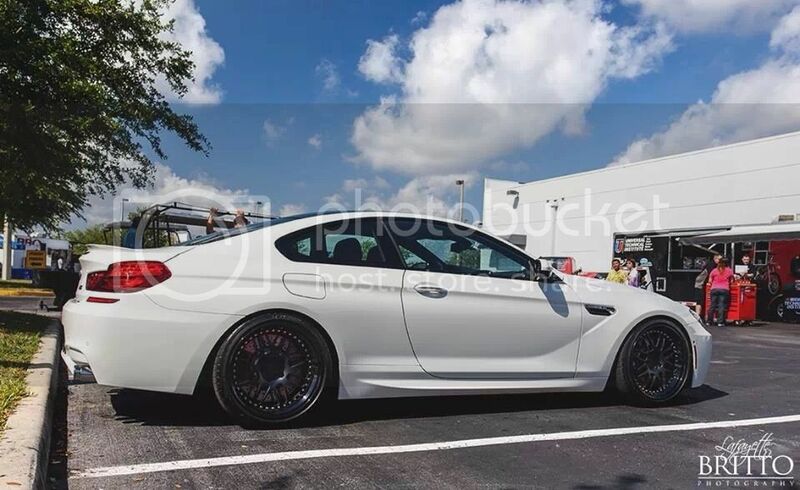 as per title, this thread is 4 all m6s that hav been modded w/ oem or aftermarket parts. Last edited by Hunter5179; 06-26-2014 at 08:04 AM. What do you guys do for a living? :? That black one looks evil. Sick cars, sick rims, just jaw-dropping $exy! I like this set up, Breyton GTPs in 21". Not sure if the car is lowered too... hard to say, probably I'd guess. I found this great looking bodykit for the M6. Yeah, the Prior Design M6. It's a little over the top for me. Just too much going on with it. I wouldn't mind the vented hood though, but that's about the only part I like along with the rear diffuser which looks a lot like the one I ordered by 3D Design. do you have any pic of your rear diffuser? Thanks buddy. It's so beautiful. Nissan GT-R (Sold) E92 M3 + 335 (sold) F10 535 (sold) When Driving Nice Whips It Helps To Have Nice Kix! what do you guys do for living!?!? give me some ideas please! lol love all your cars! especially the white one ! Last edited by Fmatos78; 04-19-2014 at 11:49 PM.